White Elegance was the inspiration of Tamera Perkins and Anna Barbieri. The two sisters saw a need for elegant white clothing for LDS Temple use. In 1994, they launched White Elegance with six representatives, four designs, a pair of white slippers, a bag and a lot of spirit and determination. Within eighteen months, White Elegance grew to 36 representatives in ten states and expanded their line to several dresses, skirts and tops. 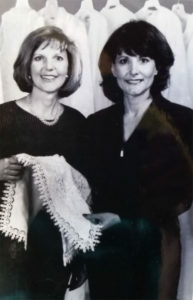 With the quick growth and popularity of White Elegance, LDS Clothing, Anna and Tamera opened three stores in Utah and began a web site in 1998. White Elegance was one of the first boutique clothing stores to expand into the online business world (in 1998 there were just 2 million online stores compared to over 1.5 billion today). 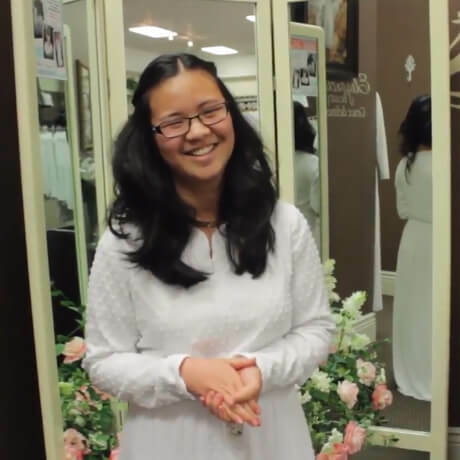 LDS members and customers looking for white clothing from around the world order White Elegance products everyday and have them shipped to their front doors. It wasn’t long before White Elegance designers launched a line of white, LDS Baptism dresses, First Communion dresses and Blessing outfits for boys and girls. Each creation is carefully measured and graded for sizing so that customers feel confident they are getting exactly what they need. Customers looking for Blessing, First Communion, LDS Temple or beautiful white separates for work love the easy care, wrinkle free, white dresses, skirts, tops jackets and accessories. White Elegance also offers semi-custom choir dresses, choir tops and choir skirts. School choirs may select from several styles, pick a neckline, select a sleeve, choose their favorite colors all the while White Elegance Choir apparel team provides the school with a run of sizes for the selected style. NO measuring is required. Choir members try-on the exact style they will be ordering in the exact size they need. White Elegance choir outfits are known for their elegance, high quality and picture perfect fit on nearly every body shape. Choir directors love the personal service and that when given a deadline for delivery, White Elegance delivers. With such an exemplary history of designing, pattern making and production, White Elegance offers all these services to other clothing manufactures.